Let us help solve your clients’ funding needs quickly & easily. Multi Funding works with you to provide funds to your clients as they wait for their case to resolve. We provide settlement funding to thousands of attorneys’ clients throughout the country. As a premier leader in lawsuit funding, we are an ideal, reliable solution to help you and your clients get an advance on their settlement right away. When you want your clients to receive settlement dollars now, we are here to make your client funding seamless and easy. 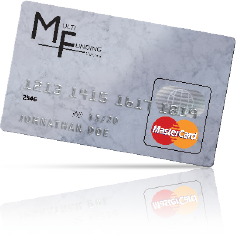 We offer a variety of payment tools, including our exclusive MasterCard Debit Card. We provide contracts in English and Spanish, and offer multi-lingual customer service representatives. We can be a vital resource to you and your clients in gaining access to settlement funds now, to repay bills, take care of their families, and more. client receive the treatment they need. Simply fill out an online intake form, submit the necessary documentation and we will take it from there. We’ll review the case and you will have an answer in 24 hours. With Multi Funding, you’ll have the freedom of time to fight for a larger settlement.